Section 179 of the IRS tax code is a government incentive to encourage businesses to invest in themselves through the purchase of new equipment or technology. For physicians, it means you can deduct the FULL purchase price of qualifying equipment that is purchased or financed during the tax year from your gross income. How has the tax code changed in 2018 as compared to previous years? Section 179 has been around for years, but its tax advantages have expanded and increased for 2018. With a higher limit of 1 million dollars and bonus depreciation doubled to 100%, 2018 is arguably a favorable year to upgrade, expand and improve your business with a new equipment purchase. Also new this year is the inclusion of used equipment. What is the timeline for 2018? If you acquire your equipment and put it into use before December 31, 2018, you qualify for this tax deduction. How much can I deduct for the 2018 tax year? Can I finance medical equipment and still take the deduction? YES. Capital Leases and Equipment Finance Agreements qualify for the Section 179 deduction. That means you can make minimal payments in 2018 for your new equipment, and still write off up to $1,000,000 of the purchase price. NOTE: Your finance payments may be less than the deduction amount, which potentially creates a profit when you finance the purchase! Why should I utilize Section 179 Tax Code? Using the Section 179 deduction may lower your tax payment to the government and free up cash for other business needs. By taking advantage of this tax deduction, you are potentially keeping more of YOUR money in YOUR pocket. You can potentially create savings that make your equipment purchase price substantially less. Does Section 179 Tax Deduction apply to me? The provisions of Internal Revenue Code Section 179 allow a sole proprietor, partnership or corporation to fully expense tangible property in the year it is put into use. Can you provide an example of the tax deduction? Are there any caveats for physicians? Just like with any tax deduction, you have to spend money in order to save money. 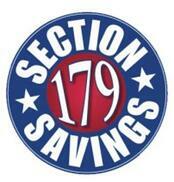 Section 179 is not reason alone to make a capital purchase. However, for physicians who are focused on improving patient outcomes by investing in the latest technologies and innovations, Section 179 gives you an added reason to reach those goals before the year comes to a close. Keep in mind, it’s always a good idea to speak with your tax advisor for more information and tax-related advice. Interested in learning more about EPAT devices and integrating this innovative technology into your practice for improved patient outcomes? Contact us at any time. CuraMedix, the leading U.S. distributor of STORZ Medical devices, is committed to providing its partners exceptional customer service, marketing guidance, and technical support. The CuraMedix portfolio of products includes the OrthoPulse Ultra (radial pressure wave) and DuoLith SD1 TT (focused shock wave) devices.